Can One Plus Two continue family's group winning tradition? ADELE Powell is hopeful her promising pup One Plus Two can make an impact this Monday when he lines up in the third heat of the Listed Northern Districts Cup (450m) at Shepparton. The black dog comes into the series after two runs back from a spell – the first of which was a handy 25.39 at Shepparton at the beginning of the month. 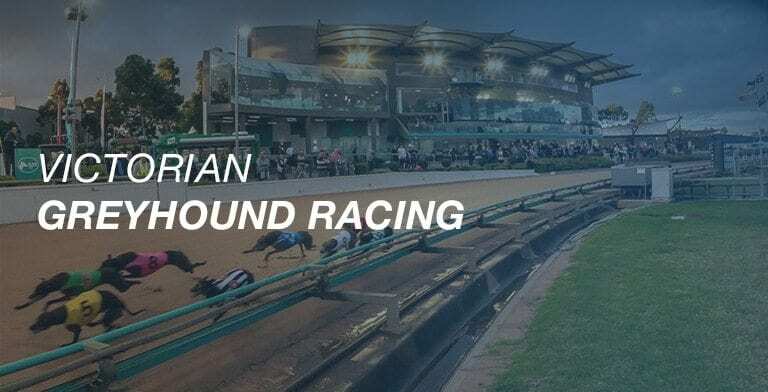 Since then, the two-and-a-half-year-old dog ran second at Sandown Park on Thursday night, with Powell happy with his form heading into the qualifier. “He has had a couple of wins at Shepparton where he has run in the 25.30s so I think he is going to be quite competitive this week,” Powell told Australian Racing Greyhound. A winner of four from 24 with 10 minor placings, it has been a long road to success for One Plus Two which was nursed back to health by Powell when getting sick earlier this year. “We had a bad batch of meat and he got quite crook and it took him a long time to get over it,” she explained. “We had five dogs which ate that bag of meat and all five got sick – but he was the only one which seemed to take a while to recover. “He ran third at Sandown Park and I remember him not being himself that day – that was the week that they all got sick. “It broke my heart to seem them so sick and even after they got after it initially it still took him a while to get back to his best on the race track – he just wasn’t himself and there was a while there where I thought we’d never see what he was capable of again. One Plus Two will need to win or be one of the three fastest thirds in order to qualify for the $25,000 final on Saturday night. If he is able to make the decider, he will continue the group tradition of his dam line which has been synonymous with success for Powell over almost two decades. “He has come from a line of group class greyhounds which I have bred – his mother is My Asuncion who made a few group finals, her mother was Just Friends who won a group 1 and her mother was Outrageous Angel who also won a group race,” Powell said. “I just love the breed – they have been so good to me and I am just so proud of them – I am happy when they win their maidens let alone making big finals.